Truth to be accepted, many of us are not good with the toolbox of the car and know nothing about the things under the hood. Maintenance of car by ourselves can be intimidating. But it is very important to take care of the car so as to keep it going on road smoothly, plus it will definitely reduce the headache of bigger repairs. Here are some simple maintenance steps anybody can follow to keep their car in peak condition. Fuel economy has a direct dependence on the air pressure of the tyres. 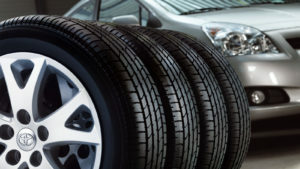 Both underinflated and overinflated tyres adversely affect the ride quality. If the pressure is not optimum the average mileage reduces significantly and this also makes difficult to control the car. The lifespan of the tyres also reduces drastically. Keep the tyres inflated to recommended pressure. Check the pressure every fortnight to be sure that the tyres are correctly inflated. Beware of the roadside air pumps who tend to overinflate the tyres, they somehow standardised the pressure to be 40. But the recommended pressure is always lower than it. Just check the user’s manual for the correct pressure to be used for your particular model. 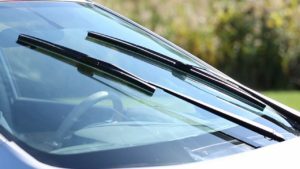 Old wipers can leave marks on the windshield or worse even scratch it. Wiper rubber blades are cheap to replace and its good idea to do so once in a year. One can replace the rubber refills on their own, there are sliding clips on the wiper blades which are easy to operate. Also, check if the washer pipes are clogged and make sure that there is enough water in the washer reservoir. 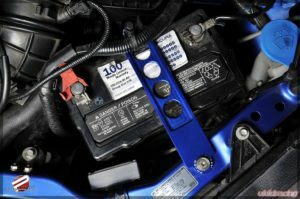 Visually inspecting the battery for any leaks, corrosive substance deposits or any other damage is very helpful in avoiding a lot of battery-related problems. If you lack the knowledge of batteries it is better to contact a professional for this work. A good battery has a lifespan of 5 or more years if maintained properly. Hence keep checking for any rust on the pins, whether the terminals are properly connected, and if you smell acidic fumes it means there must be a leakage. Catching the symptoms early on can result in a saving on repairs, cause generally, one part failure sets up a chain reaction of other part failures as well. Bird droppings baked in the sun will permanently dull that spot, so wash it off quickly. There are a variety of polishes and waxes available in the market. Use them to wash your vehicle as it is more economical than going to a water washing service centre which will cost you on an average 500 rupees. On the internet, one will find tips like using coke or toothpaste to clean the corroded area or headlamps. It is always better to spend a little on the washing kits than using them. The dirt and dust under the hood will adversely affect the exposed metal there, so wash it properly. Do not avoid to clean the engine area as it can clog the air filters. 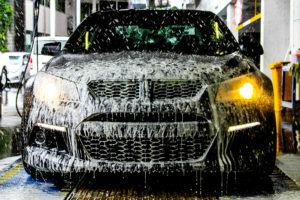 And after the wash make sure to leave the vehicle in a well-ventilated space so any residual water dries up completely. Make it a habit to keep the interiors of the car clean. Any dust particle or residual food can result in a bad odour. Vacuuming the seats and the roof will keep the interiors looking good for a long time. Contrary to belief the check engine light serves a very important purpose. It tells you which part needs to be replaced because it has failed. The engine light coding depends on the manufacturer of the car as well. The code specifically tells which part has failed. So do not ignore the check engine light as it is designed to warn you to have a certain part replaced and this, in turn, will increase the life of the vehicle. The car manual handbook is a complete guide for you, it contains all the information you require about the car. Though it is tediously long, going through it once will come in handy at the required time. It also contains car maintenance tips with infographics. To ward off bigger problems, get your car serviced regularly and deal with any discrepancies as soon as they arise. Doers are always available to help you with any kind of problem you face. Just place a call or use the chat box on our website.